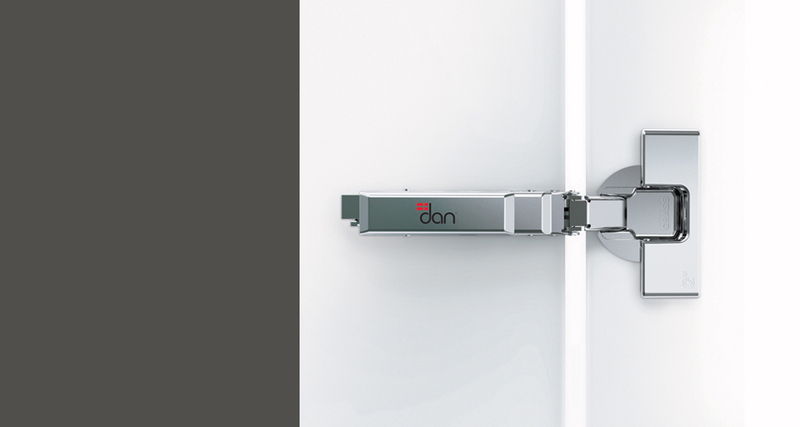 Dan Kitchens use Grass® drawer and hinge hardware from Austria - renowned for producing the best hardware available world-wide. The extra weight ratings and superior soft close mechanism set the standard for the industry. Most kitchen companies refuse to pay the extra cost to have this quality of hardware as they are mostly competing on a price point. 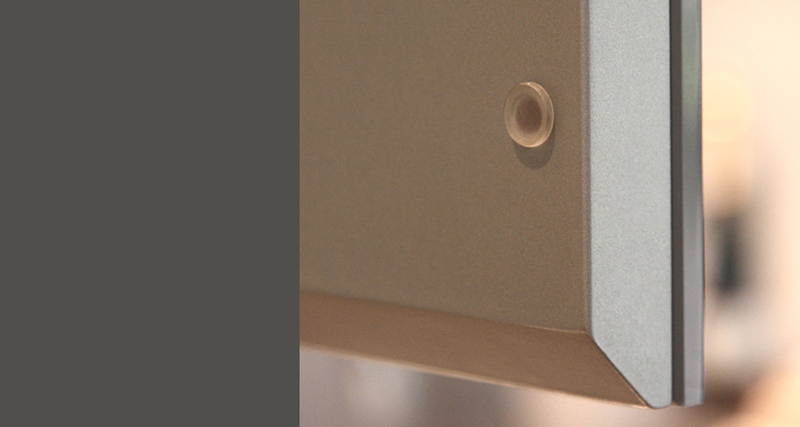 Dan Kitchens choose parts on merit alone, giving you a more user-friendly and trouble-free kitchen. If solid colours are the preferred finish for your kitchen doors then modern polyurethane finishes are hard to beat. 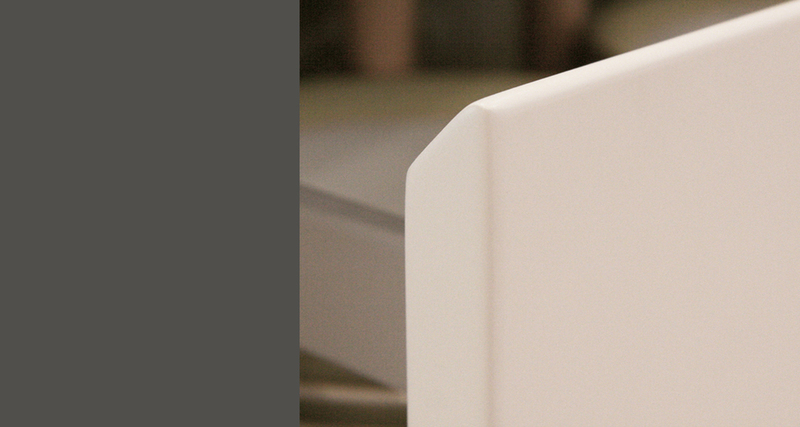 Polyurethane is colour-fast, water-proof and durable. Ideal for the kitchen environment. A common alternative to polyurethane is vacuum formed vinyl doors. There are many problems associated with its use, including cracking and even delamination of the vinyl film. Dan Kitchens stay well clear of vacuum formed doors. Dan Kitchens spray their doors with a high build polyurethane coating system. If the coating applied is not a high build coating, then the door will not stand the test of time, particularly with knocks and bumps as a thin coating will chip and scratch easily. Dan Kitchens also “balances” the doors by coating all sides of the kitchen door evenly. Coating in this way prevents the door from warping. Dan Kitchens is only one of a few companies manufacturing their own kitchen cabinets on premises. This immediately distinguishes them from the masses. Why? Cabinets designed and constructed in-house can be modified to suit almost any design and layout, while fixed size, mass produced cabinets can't. Even high-end, mass produced kitchens imported from Europe are fixed size - suffering the same draw backs along with long shipping times. A good designer does not look just at the overall product, but extends their gaze to even the smallest of features. Many kitchen companies have chosen to overlook the details and as a result forsake quality for a cheap product. 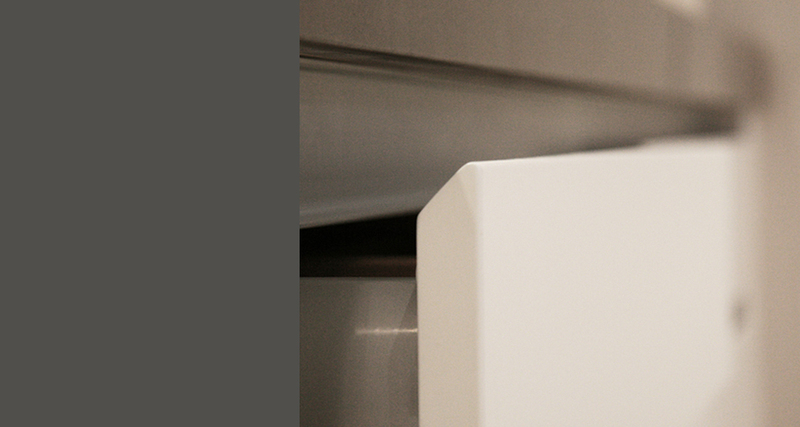 You will notice the difference that has gone into the small details of a Dan Kitchen; whether it be a microwave that has been snugly integrated into the joinery (instead of sitting naked on a shelf) or door buffers that are mechanically fastened (instead of being stuck on with glue). 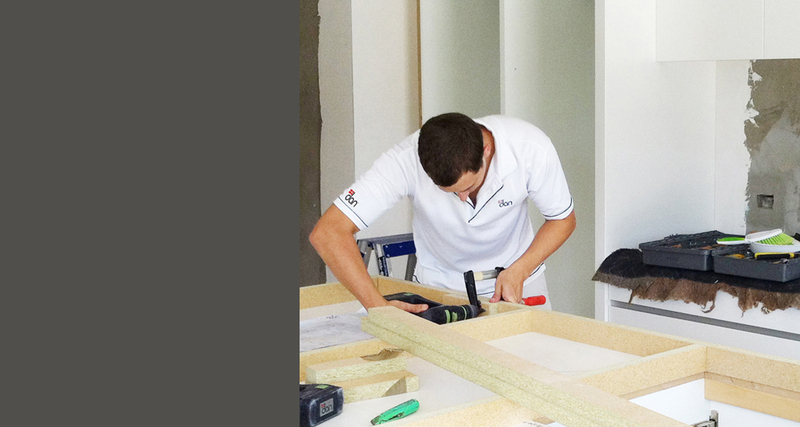 Amongst the kitchen industry is the widespread use of sub-contracted kitchen installers to install their product. Although this has brought down costs to the manufacturer, it has consequently led to a wholesale decline in standards due to split loyalties and poor quality control processes. 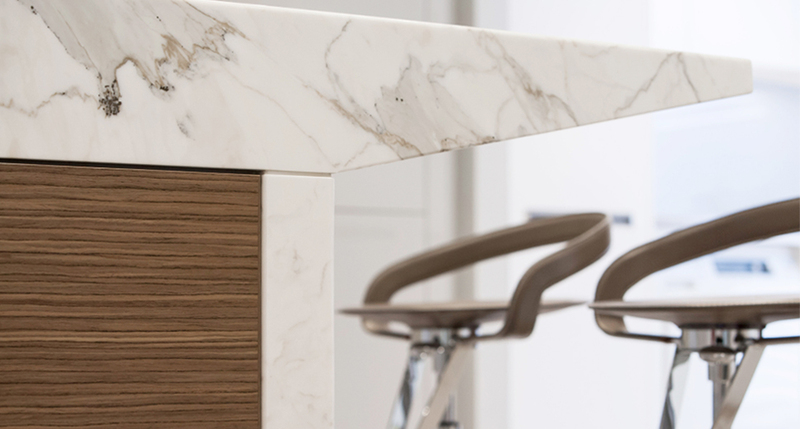 Dan kitchens employs its own teams of skilled cabinetmakers. These teams work to the company's own quality standards, consistently producing work of the highest calibre. 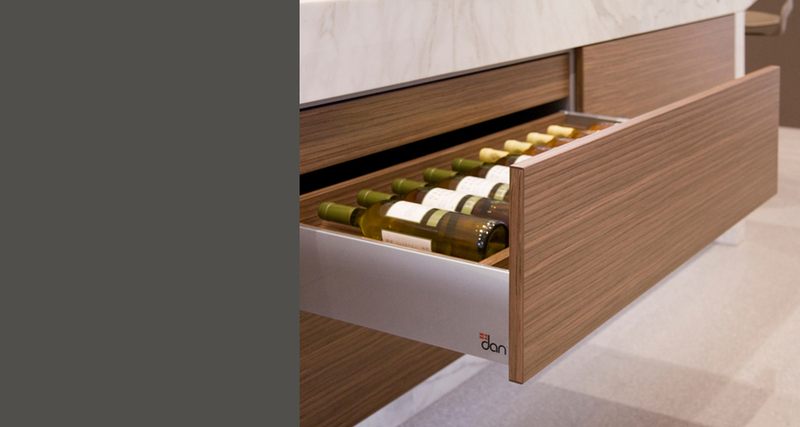 Quality control at Dan Kitchens doesn't end after the cabinetry leaves the factory and it's in your home. After their install teams have installed the cabinets, they come back to first supervise the installation of the benchtops, and later, the splashback. 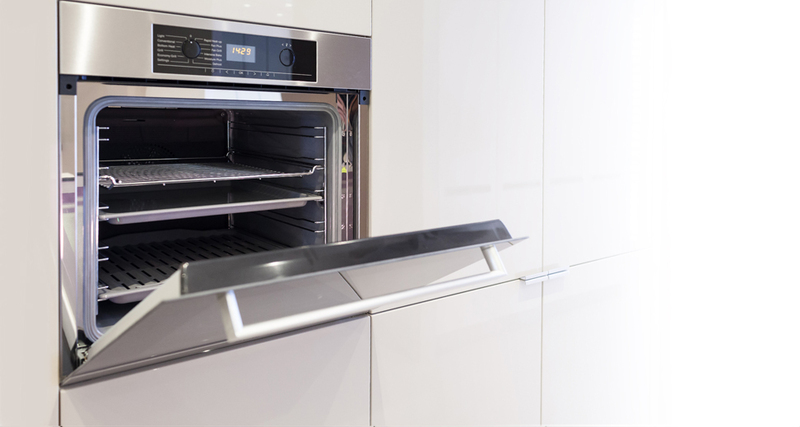 Dan Kitchens are one of the few companies that practise this method of quality control, ensuring at the end of the job each of the elements are installed correctly to specifications. Aren’t all kitchen cabinets the same? Not at all! 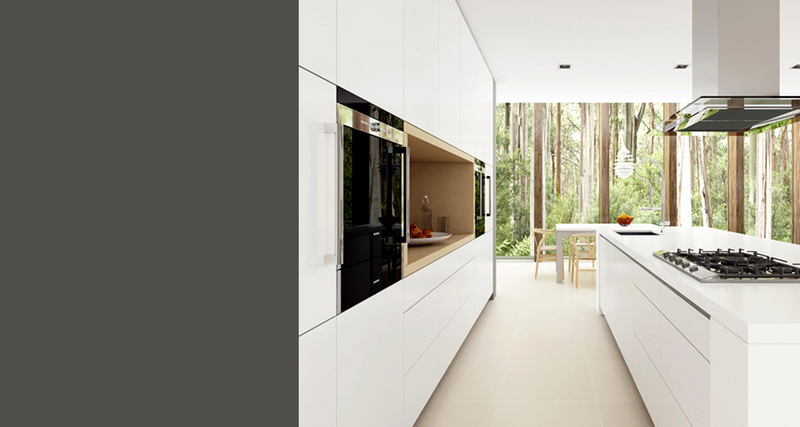 There are numerous differences between the way most manufacturers build cabinets and the way Danish designer kitchens in Sydney build their kitchen cabinets.